Approximately 2500 members, 84 groups, 9 countries, and 24 Subud houses. Zone 7 has expanded during the last two world congresses from primarily affluent countries in North America, to include Cuba and Suriname. There are also pockets of members in the Caribbean. Enlarging the country membership has enriched the zone by bringing more cultural and economic diversity and brought a new perspective to zonal affairs. Subud USA has the second largest membership of Subud members in our global community. It is divided into seven regions, each with their own committee and helpers and is served by full and part-time paid staff. The U.S. is well organized and is able to support the many and varied activities of the membership throughout this large country and occasionally beyond. The National office in Washington D.C. is the hub of SUSA activity. The national archives are stored in Arizona along with back-up copies of important international archives. The Subud USA office serves members throughout North America with book sales, delivering a quarterly newsletter to all U.S. members, assisting regions and ‘wings’ as necessary with events, bookkeeping, and communications in addition to supporting the national committee, the board of directors and organizing national congresses and gatherings. There are 16 Subud halls in the U.S. with the largest groups being Los Angeles, New York, Portland, the greater Seattle area, and the Washington, D.C. area. Each of these centers owns a property, some with enterprises. Subud USA offers a National Congress every other year and a Gathering in the off years; these unifying events attract around 300 members and move across the country to allow the widest participation. In any given month, you can bet there is at least one event somewhere, whether its a regional gathering, a kejiwaan event, family camp, or some sort of charitable, cultural, entrepreneurial, or youth activity. In recent years the younger members have begun taking on vigorous roles, such as organizing national and regional gatherings. Subud California is also home to the retreat center, Seven Circles. Snuggled in the foothills of the Sierra Mountains, some of the largest trees in the world are nearby. It is about a four hour drive from Los Angeles or San Francisco and is available for various events and retreats. The camp was formed around the idea of giving back to the community for the gift of the latihan. Past events have included arts camps for local disadvantaged children, writing and enterprise workshops, and various retreats,www.sevencirclesretreat.org. In 1994 the Atalanta Association was founded in Colorado with a motto of “Learning to live with personal responsibility in peace and harmony with all creation”. You may learn more about Atalanta’s community projects at www.atalanta.org. While the majority of members live on the coasts with vast swathes of land in between, there is a common integrity, generosity and earnest goodwill, plus a knack for not taking themselves too seriously that characterizes Subud in Canada. This is what members and helpers tested and received in 2007. SDIA’s office is located in Montreal, a testament to the characteristics of “tolerance of many peoples and embracing community” that members also received. The Canadian groups’ Subud premises in Vancouver, Ottawa, Montreal and Toronto are Subud enterprises, providing income for the groups and by extension to the greater Subud community. They have long standing traditions of holding annual regional gatherings, and ensuring that as many members as possible can attend by using facilities that are comfortable, economical, and family oriented. In June 2012, Subud Canada hosted the Americas Gathering in Vancouver with attendees from approximately 30 countries. In recent years kejiwaan events have been organized both locally and nationally and the 50th anniversary of Subud in Cuba was celebrated in 2008. There is an active publications unit, with monthly translations of ‘Subud Voice”, an independent online magazine, plus periodic distribution of ‘Mundo Hispano’, an online journal for the Spanish speaking Subud community and news from Subud Cuba is shared throughout the Spanish speaking world with the newsletter ‘Alborado’. Subud Cuba has a history of active participation in humanitarian projects and is known for its strong ties to the arts. The activities of Subud Mexico belie its membership numbers. 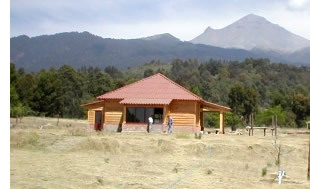 It is home to Usaha Mulia Abadi, a project in central Mexico that serves as a retreat center and provides humanitarian assistance to the local community. Members in Mexico are known for their warmth and mastery as hosts, and so Subud Mexico was home to the first Americas Gathering in 1999. Attended by members throughout the Americas, with Ibu Rahayu dedicating the Subud Hall in Tlaxcala, this provided the impetus for subsequent Americas Gatherings, two in Colombia, one in Brazil and one in Vancouver, Canada. Mexico owns two latihan halls, one each in Tlaxcala and Puebla. The Puebla house, built in 1963, was the first hall in all of the Americas. As a testament to Subud Mexico’s famed hospitality, the 2014 Subud World Congress was held in Puebla. See the World Congress page. Although Suriname is geographically distant from most of Zone 7, it became part of the Zone for language and cultural reasons during the World Congress in 2005. Members here have delighted their new family of countries with their fresh approach ever since. 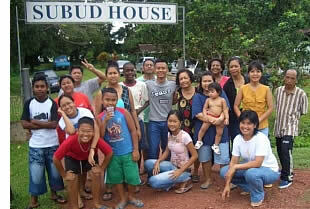 Subud in Suriname has a close-knit family atmosphere with frequent social, humanitarian, and project oriented get-togethers. The membership boasts two houses in three groups. In 2007 Etme and Rachman Jatin received a Medal of Honor from the president of Suriname, Ronald Venetiaan, for years of humanitarian service, mainly through Susila Dharma Suriname. Read one of Suriname’s Susila Dharma bulletin describing their many activities. There are also members in Bermuda, Puerto Rico, and Trinidad. Further Zone contact information or contact Fernando Fatah, the Zone 7 Representative at zone7rep@subud.mx. The Zone 7 council meets regularly either via conference call or in person. The Zone Council uses a listserver for communications between meetings. 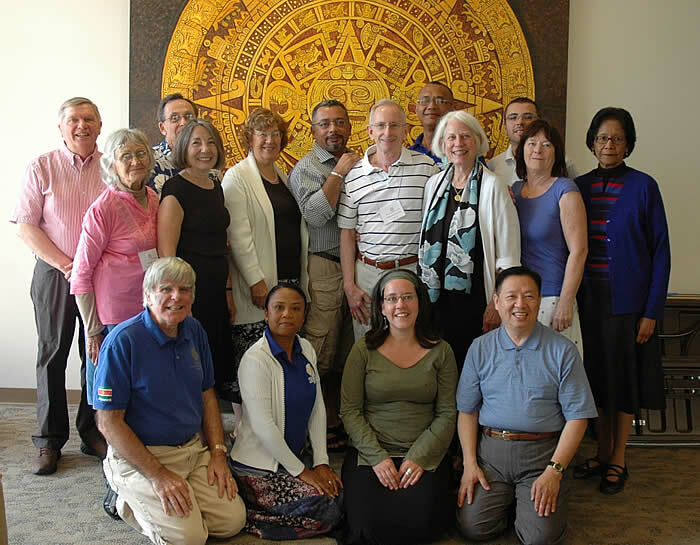 The 2014 Subud World Congress was held in Puebla, Mexico. Read about the World Congress on the World Congress page of this site.There have been two Zonal Gatherings, one in Montreal in 1992 and another in Vancouver in 2004. In 2012 the fourth Americas Gathering was celebrated in Vancouver, at the same site as the ’04 Gathering. The first Americas Gathering, originally called a ‘Pan-American Gathering’, was held in Mexico in 1999. Subud USA News: Download the most recent issue here; published quarterly. SCAN, (Subud Canada News): Download the most recent issue here, published quarterly.